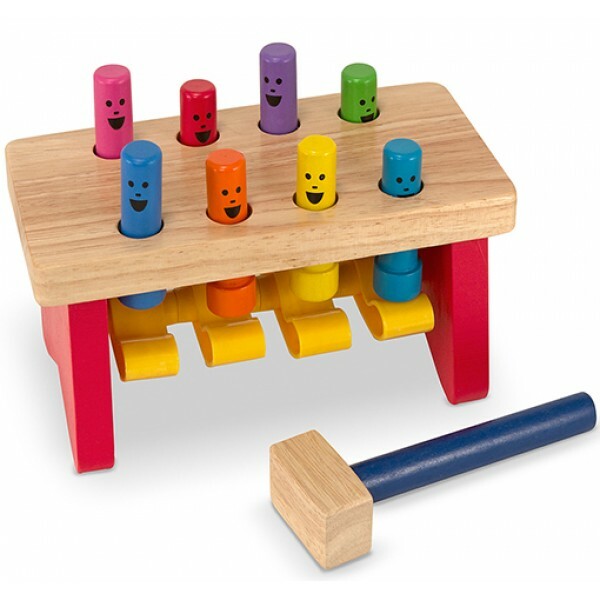 The pegs on the Melissa and Doug Deluxe Pounding Bench go up and down, playing peek-a-boo on this solid wood pounding activity. Non-removable pegs take turns showing their smiles while your toddler has fun naming the colors and enjoys practicing fine motor skills. A sturdy mallet is included.